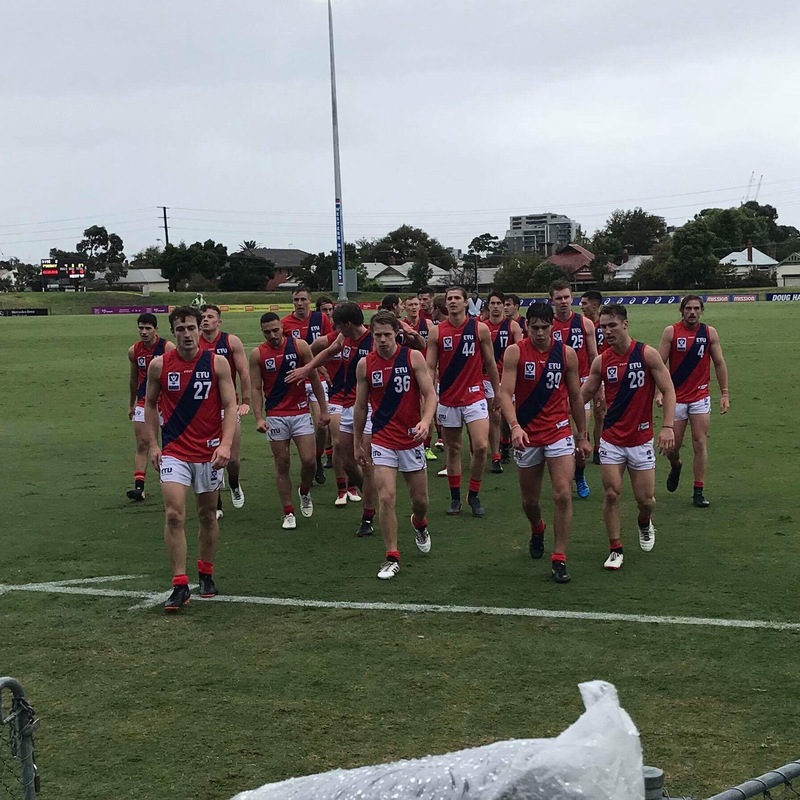 A range of weather conditions tested Coburg on Saturday afternoon in their clash with Footscray at VU Whitten Oval. From torrential rain to sunshine, the Lions’ struggled to capitalise from their early efforts in the wet, as the Bulldogs kicked 13 goals to three in the second half. Losing skipper and lead ruckman Tom Goodwin five minutes into the first term after a big fall, meant the rest of the team had to stand up in his absence. When the match was on Coburg’s terms they followed game structures well and were exciting to watch, but lost composure when Footscray applied the pressure. Norwood recruit Lochie Dickson had another impressive performance in defence and was supported by Ryan Exon and Nathan Blair, despite being under attack for majority of the day. After debuting as a Senior last week, Rupertswood junior Billy Cannolo (one goal) used his speed and size to his advantage, while former East Ringwood duo James Belo and Sam Lowson battled bravely. Speaking post-game, back-line coach Ben Osborne hopes the players can learn off one another and bring more defensive pressure next week and in weeks to come. “We (played) well for periods of the game, but we obviously need to and will have to for longer periods against quality opposition,” he continued. He named defenders Sean Gregory and Ryan Exon as some of his standouts, and praised Dickson for his efforts. Finishing 4.8 (32) to 17.11 (113), the Lions will take their learnings from this week’s game into their next match-up with Box Hill. The first bounce will be at 2pm on Sunday at Piranha Park. Goals: Lentini, Kerbatieh, Fox, Cannolo. Best: Exon, Gregory, Dickson, Lowson, Blair.